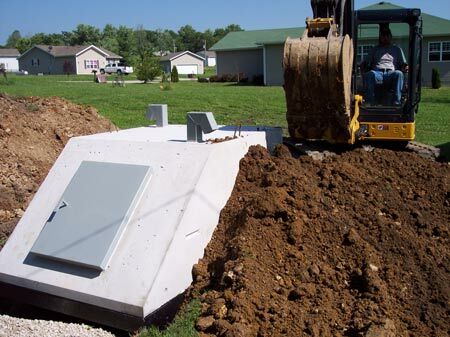 Stewart Concrete is dedicated to manufacture the highest quality precast concrete storm shelters available today. 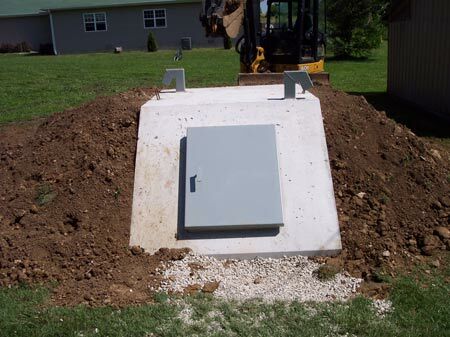 In-ground storm shelters provide safety and peace of mind for you and your loved ones during tornadic storms. A unique feature of our shelter is the sloped concrete stair system. 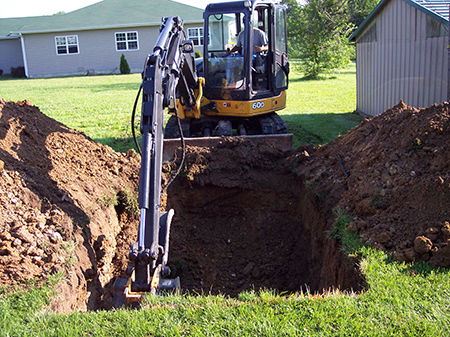 This allows easy and safe access, unlike our competitors which use a ladder system that makes it much more difficult for quick entry. 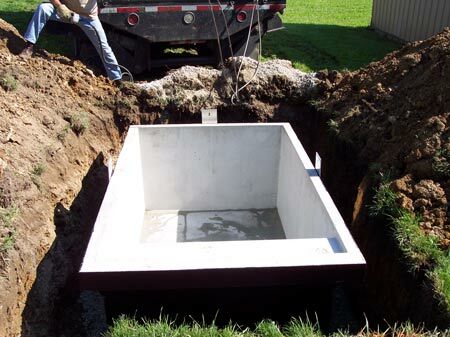 What Are The Advantages Of The Stewart Concrete Storm Shelter? 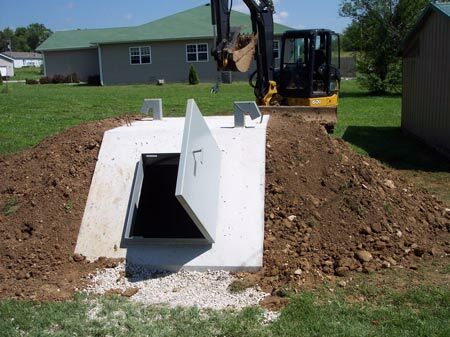 The following seven photos show the installation of a storm shelter from beginning to end. 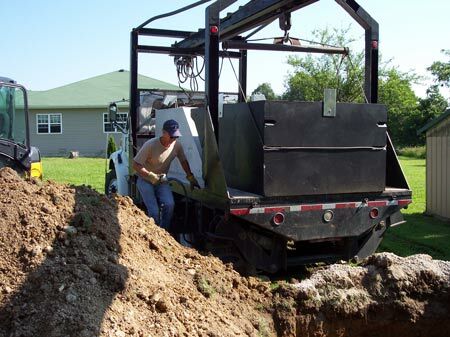 Each installation is different depending upon the location. 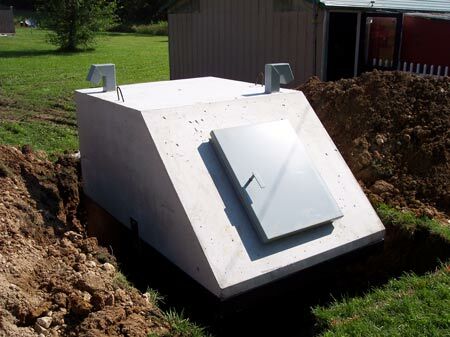 Be sure and call us for specifics for your shelter.